The purpose of this position is to deliver resident care through the nursing process of assessment, plans, implementation, and evaluation. This position directs nursing care in accordance with the policies and procedures of our organization and ensures continuity of care by providing direct care and in supervising LVNs and CNAs. The purpose of this position is to provide direct and indirect resident care, especially activities of daily living as described, but not limited to personal care, comfort, maintenance of a safe and clean environment for an assigned group of residents. Ability to read, write and speak English to the degree necessary for effective communication with co-workers, residents and families, as well as for accurate charting. The general purpose of your job is to provide assistance to residents in their activities of daily living (ADLs), to perform various services in relation to the general upkeep and cleanliness of the buildings and equipment of Santa Teresita, and to participate in the tasks required for the general running of an Assisted Living household. Under the direct or indirect supervision of a Registered Nurse, responsible for providing professional skilled nursing services according to established Policies and Procedures. Responsible for ensuring continuity of care by providing direct care and supervising CNA’s, as well as coordinating care with other support personnel. All teaching staff will be responsible for the general supervision and management of a group of 12 students or up to 18 students (with a qualified assistant) as stated in Section 101216.2 (d) and as regulated by The Department of Social Services, State of California. 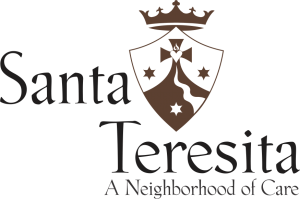 The person selected for this position is expected to support and uphold the philosophy and mission of Hayden Child Care Center and Santa Teresita. Child Development Associate Teacher Permit from the State of California Preschool Teacher Permit (preferred) or Possess a Child Development Associate (CDA)Credential.